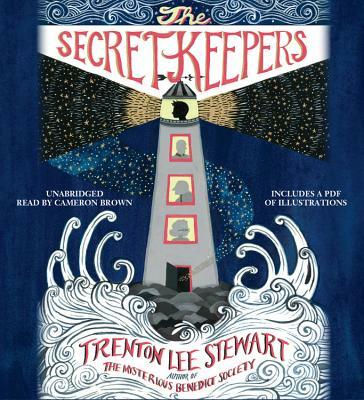 Acclaimed New York Times bestselling author Trenton Lee Stewart returns with a captivating, heart-stopping adventure about thrilling secrets and dangerous mysteries-and the courage to reveal the most frightening of truths. Eleven-year-old Reuben spends his days exploring, hiding, and practicing parkour among the abandoned buildings of the Lower Downs as a way to escape the rough times that have befallen him and his mom-but his discovery of an extraordinary antique pocket watch changes everything. When Reuben finds that the watch has the power to turn him invisible, he's propelled on the adventure of a lifetime. Now Reuben is being pursued by a group of dangerous men called the Directions, and someone-or something-ominously called the Smoke. They all want the watch, and with the help of new friends, it's up to Reuben to unravel the mysteries surrounding it and protect the city from evil. New York Times bestselling author Trenton Lee Stewart's latest novel will enthrall old and new fans alike with the twists and turns of an inventive and compelling adventure reminiscent of the Mysterious Benedict Society series.